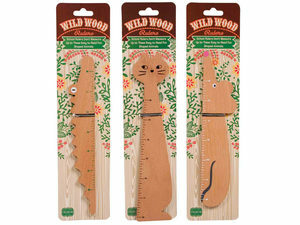 School rulers don't measure up to this fun, easy to read Wild Wood Animal-Shaped Ruler. 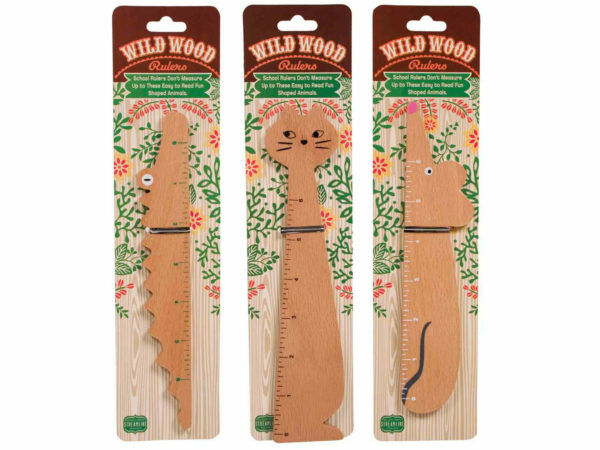 Unique design features a cute 6" animal-shaped ruler made of solid wood with painted details. Comes in assorted styles. Comes packaged in a poly bag with a header card.